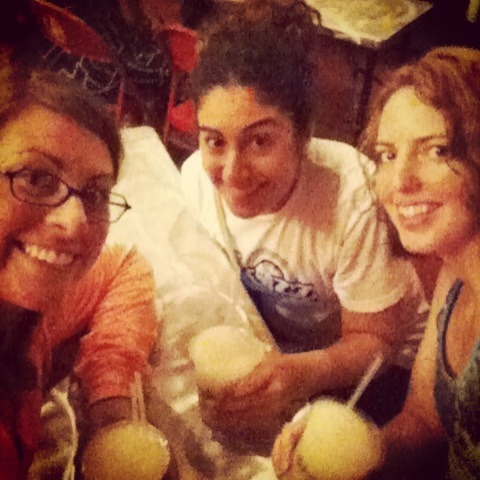 That time Tara, Navani and I had drinks in Brooklyn. It made me feel like I was doing something right. I really do have fantastic friends, and it makes me straight-up giddy when they adore one another. I love making connections. I put my New York friend Navani in touch with my Seattle friend Tara last year. When Tara came to visit, the two of them were like old pals. They didn’t even miss me the evening I had Spanish class and ditched them. Tara and James also became friends during her visit. In Hawaii, James and Navani met my good pal Chris from Seattle. One afternoon, I went looking for the guys and they were so engaged in sports talk, I don’t think they noticed I was there. Once again, I did it right. I have the best taste in friends. And they prove it over and over and over. Want more photos of our trip? Find them here.